Landward – BBC One Scotland 19.30 – Friday 28 October. After on iPlayer. 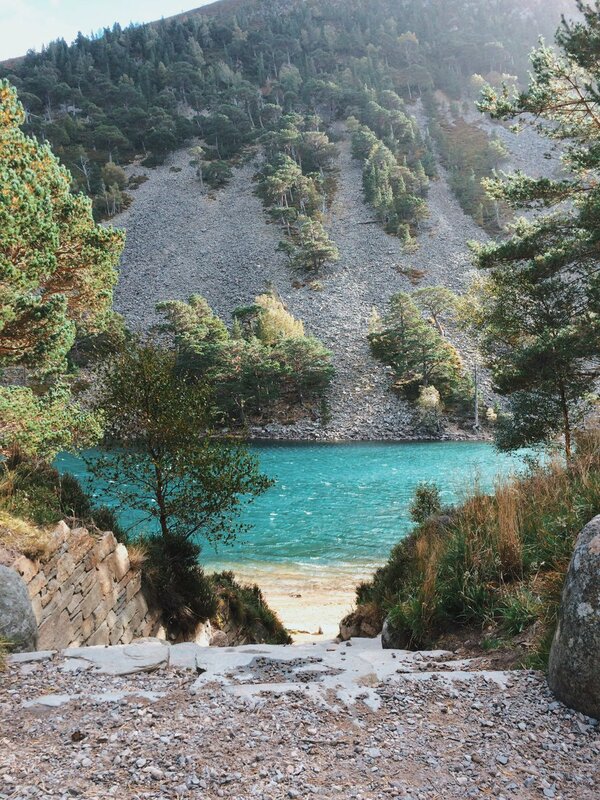 By the Monadh Ruadh, The Cairngorms sits a beautiful lochan. Protected by a steep scree slope on one side, surrounded by ancient forests, a tempting oasis beckons. The water appears a deep green – the brilliance of which is intensified when sun hits the surface. The colour comes from fairies washing their clothes, don’t you know. 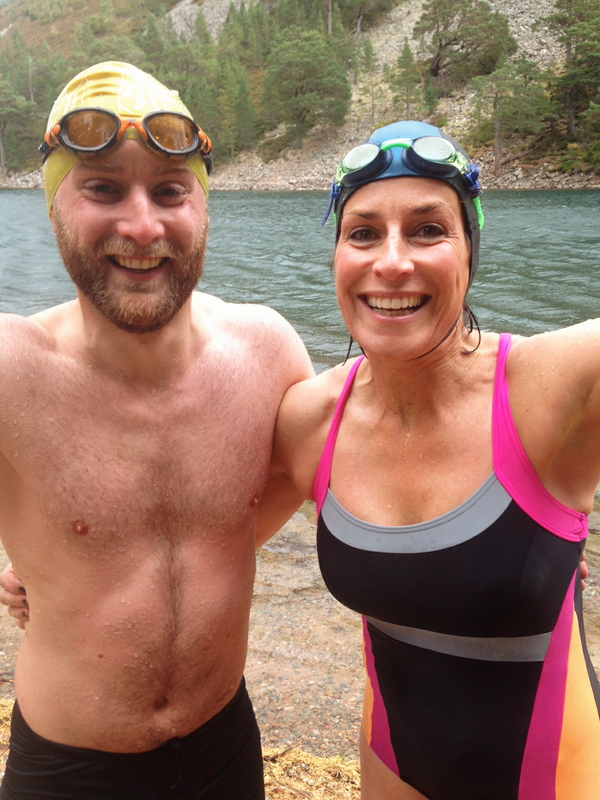 The team from Landward on BBC Scotland had got in touch after seeing my shite craic and borderline-dangerous swimming antics. I didn’t need to be asked twice! The brave Sarah Mack took on the challenge. She claimed to mainly swim in the sea, and seemed slightly apprehensive. I wasn’t buying it. She was obviously hard-as-nails and would probably put me to shame. The perennial question in Scotland! With cameras there and the water temperature still around the “aye, alright” mark it was decided to go skins. Always more refreshing and a quicker way of waking the mind. After some terrible patter from me, we swam. On my signal, be a fish! We went in, came out, shook it all about, back in again. Sun broke through clouds. Tourists lined up to stare. Wind whistled by, nature’s hairdryer. 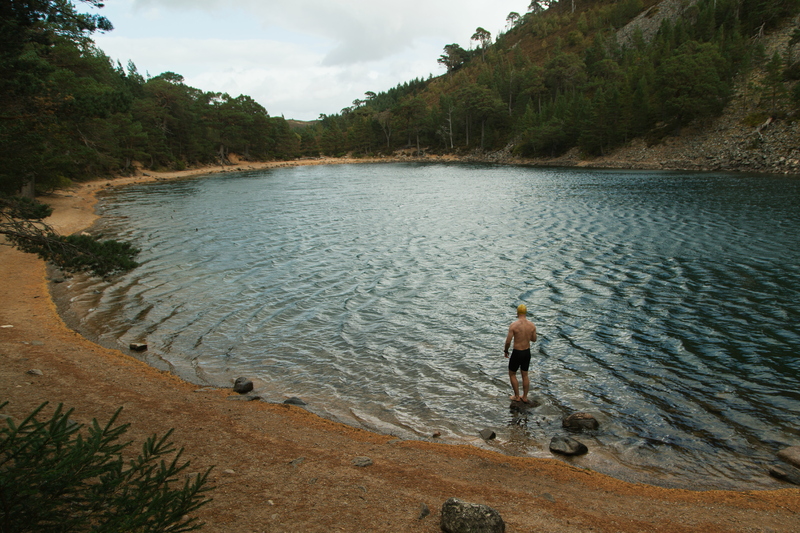 A fantastic swim, great company and top direction. As for the rest, watch it on Landward! 😊 thanks a lot Stephanie! It’s a beautiful spot.